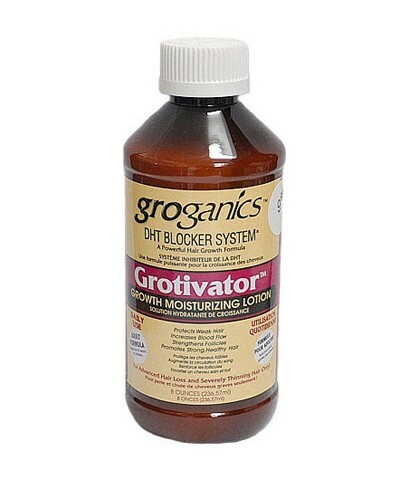 Grotivator contains a complex mixture of energizing and stimulate the hair follicle. Grotivator is a daily use, super-gentle formula that can be used with any product. Grotivator protects and repairs your hair and scalp to allow proper product penetration. Part hair and apply directly to scalp. Use twice daily. As a protective additive, apply a small amount to desired area and massage, then use the product of your choice as usual.